President Michael D Higgins and Taoiseach Leo Varadkar have attended the funeral of former finance minister Richie Ryan. Mr Ryan, who died on St Patrick's Day aged 90, was one of the country's best-known politicians through the 1960s and 1970s. He is remembered as the Fine Gael finance minister who guided Ireland through the economic turmoil of the 1970s oil crisis, never shirking from tough decisions to hike taxes, which earned him the nicknames "Richie Ruin" and "Red Richie". He later served as an MEP for Dublin and finally was Ireland's representative at the EU's audit service in Luxembourg for eight years before his retirement in 1994. Even then, he remained active in Irish life, working with Irish Red Cross and the Commissioners for Irish Lights, while also pursuing a wide range of hobbies. Attendance at his funeral Mass at the Church of St Thérèse in Mount Merrion read like a who's who of Irish politics in the 1970s and subsequent decades. Former Taoiseach John Bruton was joined by former ministers Alan Dukes and Nóra Owen, Barry Desmond of Labour, Pat Carey of Fianna Fáil, as well as president of the Court of Appeal, George Birmingham. Current ministers attending included Michael Creed, Regina Doherty, Richard Bruton and Mary Mitchell O'Connor, along with TD Bernard Durkan. Former MEP Mary Banotti, former TD Tom Enright and former Fine Gael organiser Frank Flannery were there. Mr Ryan's son, Declan, told the attendance that his father enjoyed poetry, classical music, gardening and travelling. 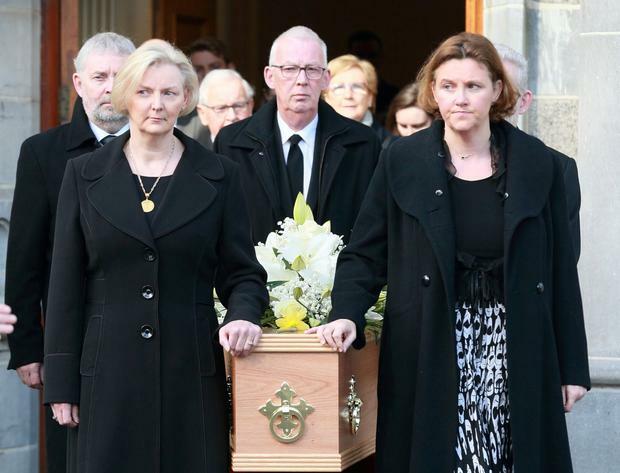 His wife Máiréad predeceased him and he is survived by three sons and two daughters, grandchildren and great-grandchildren. Separately, hundreds of people attended last night's removal of veteran former Fianna Fáil TD and junior minister Jackie Fahey (91). Mr Fahey, who died on Monday, was removed to St Mary's Parish Church in Dungarvan, Co Waterford. He will be buried after 11am requiem Mass today. 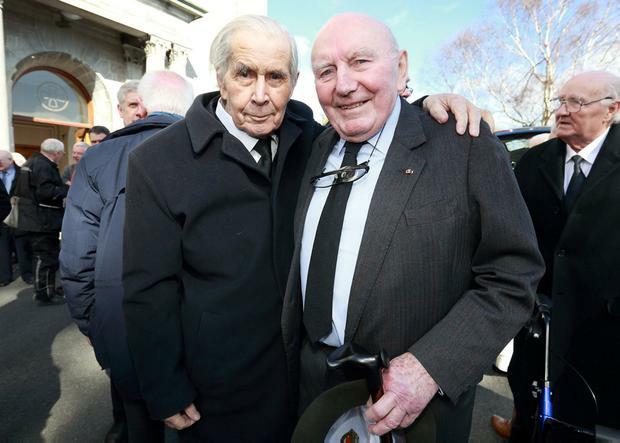 Among the mourners were politicians from Waterford, Tipperary, Cork and Dublin, who had served alongside Mr Fahey.